Prototype: Type F-z 120 (former Ommi 51) two-axle sectional dump car. Privately owned car for HGK Harbors and Freight Service of Cologne, Inc. Without a hand brake and a brakeman's platform, with rail clamps. The car looks as it did around 2006. 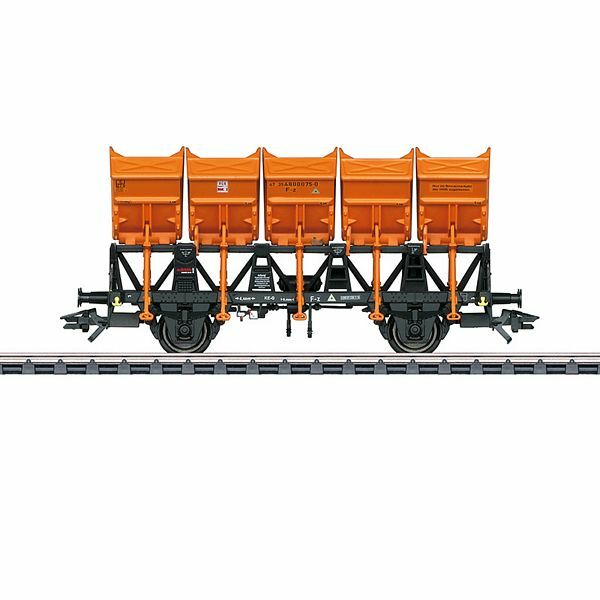 Model: The car has detailed construction with a partially open frame, separately applied rail clamps and separately applied dump sections. The car does not have a brakeman's platform. Length over the buffers 10.4 cm / 4-1/8". DC wheel set E700580. One-time series only for Marklin Insider members.